Born in Springfield, Kentucky in 1837, William Louis Kelly quit school at 16 due to the death of his father and began working for the U.S. Post Office. In a short time he was promoted to Assistant Postmaster of Louisville, and held that position until 1864, when he was commissioned as a special agent of the post office in General Sherman’s army. During the Civil War Kelly was active in all matters connected with the western army mail service and re-establishing mail service in the Southeastern U.S. after the close of the war. While at the post office Kelly studied law at night and was granted a law degree by the University at Louisville in 1859. After the Civil War, Kelly practiced law, farmed and edited a newspaper. 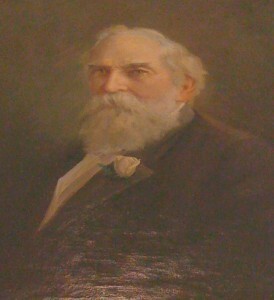 While admitted to the Ramsey County Bar in 1871, he did not practice law as his sole profession until 1878. In 1887 Kelly was appointed to the district bench by Governor McGill. Judge Kelly decided the first railroad merge case in Minnesota, where he forbid the consolidation of Northern Pacific Railway and the Great Northern Railway Company.